All meditation related posts will be listed here. I went on helplessly watching his tears, continuously rolling down his innocent eyes, physically weaving the fish net but mentally somewhere in a deep thought or pain. He gradually went on sighing without feeling any disturbance made by the children play aside and fighting to concentrate on his job. This is one of the unforgettable moment of my life. I always asked my self, the reason behind his tears. 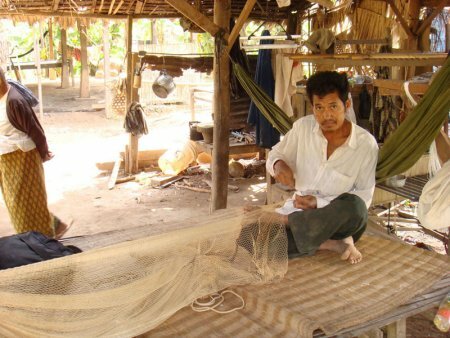 It took me more than a decade to understand the incident, the incident of that old man who was sitting at the corner and trying to weave the fish net. I don’t have a clue, what to do now except weaving my fish net and gradually cry from the within. I don’t blame you god, this is my fortune I am born with. I don’t blame you god, I am a helpless farmer. I’ve learned that no matter how hot and steamy a relationship is at first, the passion fades and there had better be something else to take it’s place. I’ve learned that sometimes the people you expect to kick you when you’re downhill are the ones to help you get back up. I’ve learned that sometimes when I’m angry I have the right to be angry. I’ve learned that just because someone doesn’t love you the way you want them to doesn’t mean that they don’t love you with all they have. I’ve learned that maturity had more to do with what types of experiences you’ve had and what you’ve learned from them and less to do with how many birthdays you’ve celebrated. I’ve learned that your family won’t always be there for you. I’ve learned that no matter how good a friend is, they’re going to hurt you every once in a while. I’ve learned that it isn’t always enough to be forgiven by others. Sometimes you have to forgive yourself. I’ve learned that no matter how bad your heart is broken, the world doesn’t stop for your grief. I’ve learned that no matter how you try to protect your children, they will eventually get hurt and you will get hurt in the process. “This man will be a flawed creature, with many bad traits. He’ll lie, cheat, and be vainglorious; all in all, he’ll give you a hard time. But… he’ll be bigger, faster, and will like to hunt and kill things. He will look silly when he’s aroused, but since you’ve been complaining, I’ll create him in such a way that he will satisfy your physical needs.” He will be witless and will revel in childish things like fighting and kicking a ball about.